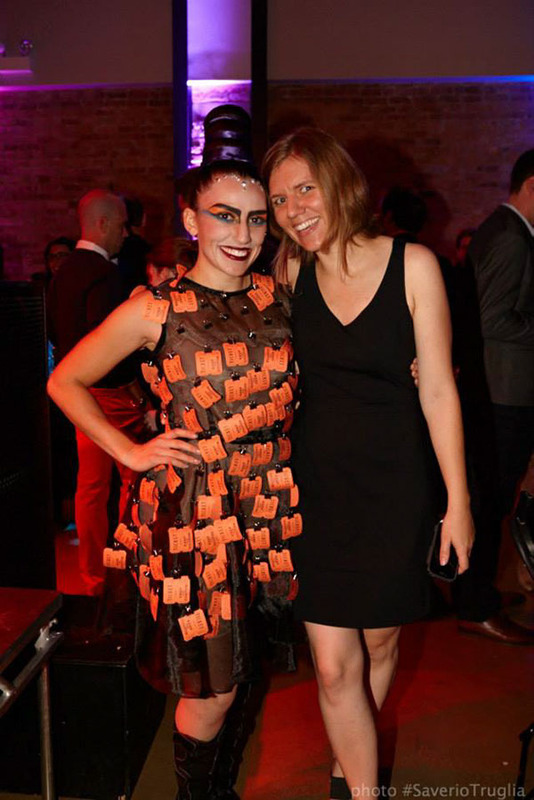 I designed this binder clip dress to be versatile and interactive - fill the dress with raffle tickets, event fliers, business cards, or any other paper product. 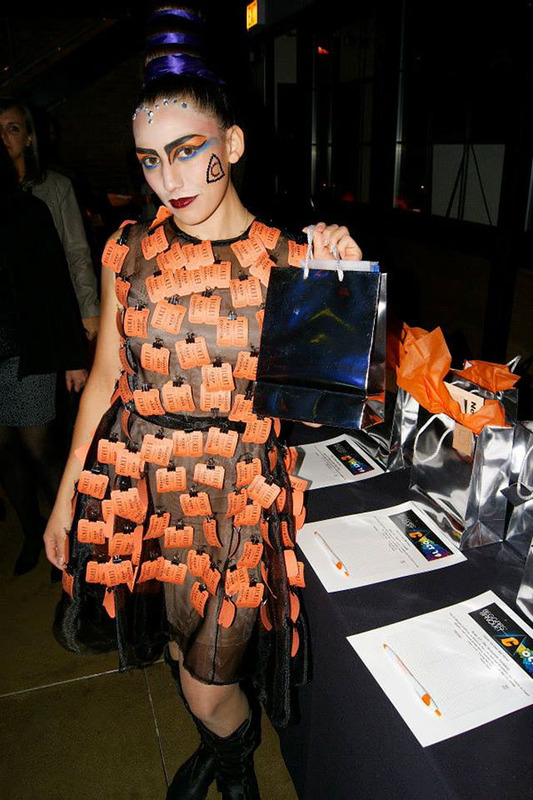 Not only is it a lot more fun that handing things out from behind a booth, it's a lot more memorable! 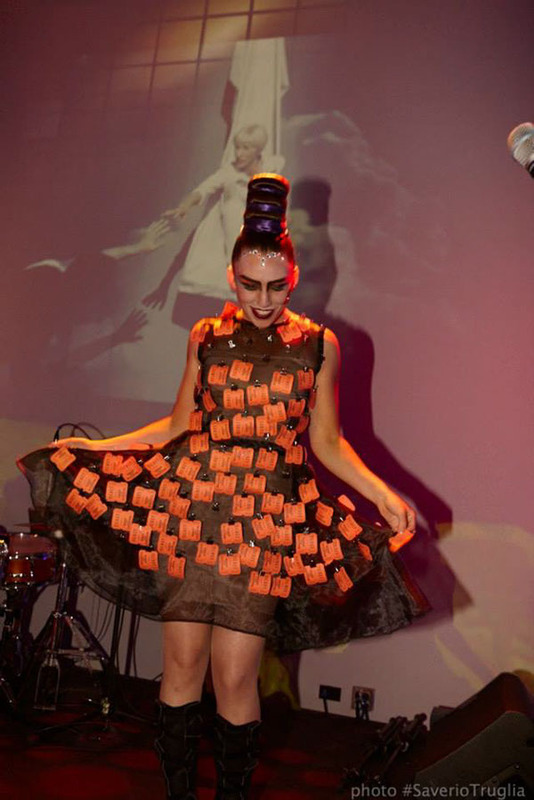 Thanks to Saverio Truglia and Cesario Moza for the photos.